Struggling artist, Zoe arrives in Glastonbury seeking inspiration. The small Somerset town is steeped in myth and legend and Zoe’s sure it’ll be the perfect place to work on a book about King Arthur. But behind the shops selling witchcraft supplies and crystals real magic is being practised. When Zoe meets Finn her life changes forever. Not only is he a druid connected to the ancient energies of the earth but she dreamed about him long before they met. Finn’s life is in terrible danger and Zoe’s dreams start to reveal more of the plot against him. 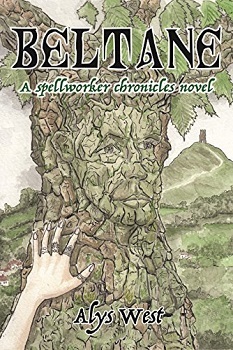 ‘Beltane’ is the work of British author Alys West who sets her tale in the small Somerset town of Glastonbury over the period of a week leading up to Beltane, a Celtic festival held on May Day. We witness much of the action through the eyes of West’s main protagonist, Zoe, who goes on retreat at the behest of her friend Anna, to find inspiration for her illustrating assignment. We join Zoe on her arrival at a guesthouse in Glastonbury, famed for unusual healing techniques administered by its eccentric owner, Mauve. It was helpful to see some events through Mauve’s eyes as we quickly realise that she is multi-layered and sinister. We are also invited into the mind-set of Finn, to whom Zoe is immediately attracted. In the first half of the book he hints at a secret and I would have found this more intriguing we hadn’t been told in the synopsis that he was a druid. Both Mauve and Finn are excellent foils for Zoe and the plot is carried along by the strength of these characters. The exciting start boded well for the tale to come and the momentum was maintained throughout the book, culminating in a dramatic climax. West uses alliteration, similes and metaphors to her advantage. The theme of good versus evil was played out to the full as the tension was ratchetted up. A strong feeling of menace was present from the start and I feared for Zoe as soon as she herself, felt uneasy. I must confess to being a bit of a fan of ‘Urban Fantasy’ which, contrary to my former belief, isn’t monsters rampaging through cities, it’s the bizarre against a backdrop of the contemporary mundane. If it’s badly written it’s rather embarrassing to read but if it’s done well, as in this case, it’s gripping. I couldn’t put this novel down and commend the author for her imagination as well as the structure of her plot and strength of her writing style. I am delighted to be able to award ‘Beltane’ a full five stars. Alys West writes contemporary fantasy and steampunk. She started writing when she couldn’t find enough books to read that had all of the elements that she loved; fantasy, romance and suspense, although her love of Buffy the Vampire Slayer may have had something to do with it too. Writing steampunk was a natural development from her obsession with tea. How could she not write in a genre where the characters shared her belief that 90% of the world’s wrongs can be solved with a nice cup of tea? It also gave her a great excuse to spend her time looking at Victorian fashions and call it research. 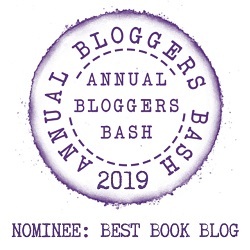 Alys is doing a MA in Creative Writing at York St John University and also teaches creative writing for Converge, an arts project for people with mental health issues. When she’s not writing you can find her at folk gigs, doing yoga and attempting to crochet. It makes her week if she hears from someone who’s enjoyed one of her books so please do get in touch. She would love to hear from you!